Smiling, he calls himself a “lifetime student”, which partially explains why a successful multiple restaurant franchisee who holds a Masters Degree in Neuro Linguistics Programming is currently so excited about studying indigenous peoples of The Ring of Fire. Suffice it to say, Keith Lawhorn is an interesting guy. Keith’s mom was widowed at the age of twenty-three and then moved her two sons from Oklahoma to Southern California, where she first supported her family working jobs as a switchboard and elevator operator. After high school, Keith worked as a warehouseman and earned a college degree in Human Resource Management. In 1983 Keith and his wife Michelle moved their family to Cottage Grove, Oregon where they opened two businesses – a specialty coffee shop and a bed & breakfast. Today, both would seem to be wise investments, but Keith admits that the ventures were probably a decade or so too early in a mill town. After two years of financial struggle, Keith accepted a job as a union business agent for the Oregon School Employees Association, a position he held for eleven years. It was in 1995 that Keith and Michelle opened their first Subway franchise in Tillamook. That restaurant set a Subway opening week sales record that stood for eighteen years – quite an accomplishment when you consider that Subway now has close to 44,000 restaurants worldwide. Twenty-one years later Keith and Michelle’s Tillamook location continues to be the highest volume Subway restaurant on the Oregon coast. The Lawhorns expanded their holdings, opening a Subway in Brookings in 1998 and another in Gold Beach in 2007. These days those restaurants are overseen by a managing partner, their son Shannon, who joined the family business after a career in the Air Force. 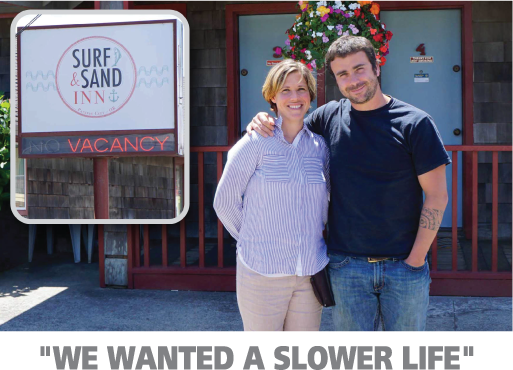 Over the years, Keith and Michelle have also opened and operated three other Subways on the coast, each of which they were able to sell profitably. Keith was recently selected for another term on the National Subway Owners Board, an organization of which he is a founding member. The family’s latest venture is a Taco Del Mar franchise in Tillamook, which is growing steadily. Considering himself to be a financial conservative, Keith always keeps as much money in reserve as possible and always plans things at least six months in advance. “You don’t play roulette with your business – I have my family and employees to take care of,” he says. The Lawhorn’s family businesses now employ more than 45 people, several of which have been with the company for more than a decade. In Keith’s words: “No one works here forever – we want to empower our employees to be successful in society.” That means creating an atmosphere of respect and integrity, which is not always the case in the restaurant business. “Whether it’s on the job or in their own lives, we try to teach our employees to make better choices,” explains Keith. Although he employs managers for each of his restaurants, Keith believes that owning a business is still a hands-on responsibility. 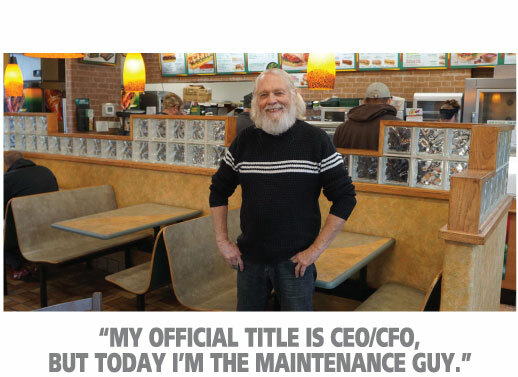 “My official title is CEO/CFO, but today I’m the maintenance guy,” he points out. Michelle, who serves as President of each of the family’s companies is also a yoga instructor and Reiki specialist, a natural healing technique for physical and emotional wellbeing. The couple lives in Twin Rocks, just north of Barview. In their spare time, they travel extensively and have held University of Oregon football season tickets for more than twenty years. Owning and growing a food service business for more than twenty years is certainly worth recognition. By purchasing the buildings and property that house their restaurants, Keith and Michelle have also successfully diversified their portfolio. The Lawhorn’s business success is an interesting story, although not nearly as interesting as they are as individuals. 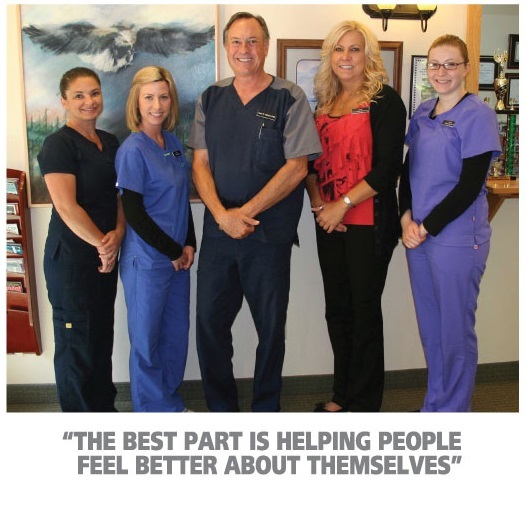 We’re honored that they chose to become Oregon Coast Bank customers.